In Precocious Charms, Gaylyn Studlar examines how Hollywood presented female stars as young girls or girls on the verge of becoming women. Child stars are part of this study but so too are adult actresses who created motion picture masquerades of youthfulness. 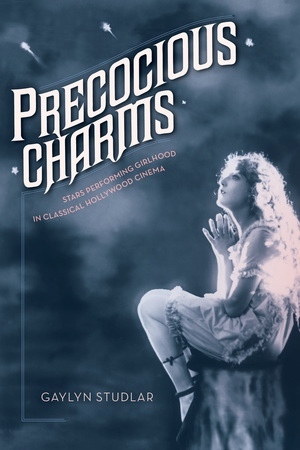 Studlar details how Mary Pickford, Shirley Temple, Deanna Durbin, Elizabeth Taylor, Jennifer Jones, and Audrey Hepburn performed girlhood in their films. 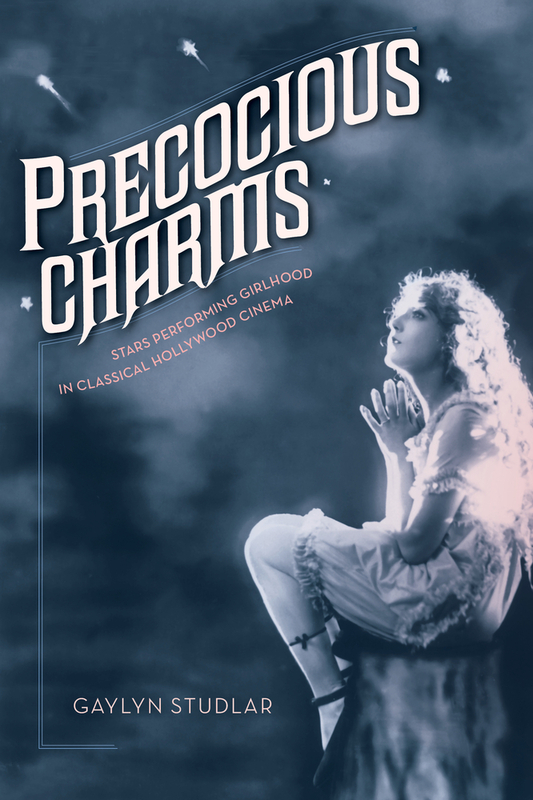 She charts the multifaceted processes that linked their juvenated star personas to a wide variety of cultural influences, ranging from Victorian sentimental art to New Look fashion, from nineteenth-century children’s literature to post-World War II sexology, and from grand opera to 1930s radio comedy. By moving beyond the general category of “woman,” Precocious Charms leads to a new understanding of the complex pleasures Hollywood created for its audience during the half century when film stars were a major influence on America’s cultural imagination. Gaylyn Studlar is David May Distinguished Professor in the Humanities at Washington University in St. Louis. She is the author of This Mad Masquerade: Stardom and Masculinity in the Jazz Age and In the Realm of Pleasure: Von Sternberg, Dietrich, and the Masochistic Aesthetic. She has co-edited four anthologies: John Ford Made Westerns, Visions of the East, Reflections in a Male Eye, John Huston and the American Experience, and Titanic: Anatomy of a Blockbuster.